Exclusive! The fanny pack is back, with luxury brands creating their own versions of the hands-free accessory. Make yours bright and beaded. Strap adjusts from 13-35" so you can carry it, wear it over a shoulder, even sport it as a crossbody. 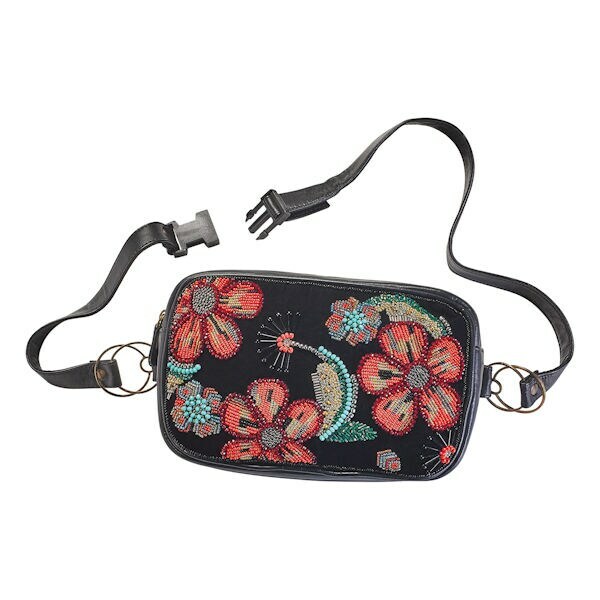 Polyester velvet and genuine leather accented with a seed bead floral design. 10 ½"w x 6 ½"h x 2 ½"d. Imported.